The role that a human resources manager plays is a complex and multifaceted one. In a nutshell, a human resources manager is responsible for overseeing all functions that are related to the activities and needs of an organization’s employees. An HR manager must support the work of managers who lead and supervise the employees. In addition to these areas, a human resources manager must oversee day to day employee complaints and problems, the administration of employee benefits (e.g. payroll), and employee paperwork. An HR manager may or may not have an assistant to help with their workload. Who Hires Human Resource Managers? Human resource management is a rare type of career in that these individuals are hired by nearly every conceivable industry. From hospitality to the medical field to professional sports, a diverse range of industries hire HR managers. The advantage to this flexibility is that it enables a graduate with a degree in human resources to specialize in the industry that they find most appealing. The skills and knowledge that one gains through a human resources degree program are invaluable and can be applied across a wide range of disciplines. Ensuring that all HR activities are compliant with local, state, and federal laws. Implementing and overseeing directly related to employee initiatives and benefits. Oversee sick leave benefits, vacations, open enrollment programs, maternity leave, flexible work arrangement programs, and insurance programs. Make recommendations to managers to ensure that their org is offering competitive benefits and salaries to their employees. Ensuring that their workplace remains free of harassment and is accommodating to all. Handling employee complaints in compliance with any relevant laws and company policy. In addition to these duties, human resource managers who work with larger businesses must also oversee their own team of human resource personnel, which includes offering them training, discipline, and guidance as is needed. What Are the Working Conditions Like For an HR Director? As with specific job functions, working conditions can be affected by the size of the business that the HR director works with; however, most professionals work in a standard business office with traditional business hours. Occasional travel to field sites, training seminars, and other company locations may be required. In general, the hours that an HR manager works are thought to be conducive to family life and social activities. In a 2014 study by Ceridian, 72% of all human resources managers stated that they were satisfied or extremely satisfied with their chosen career path. According to the most recent statistics from the U.S. Bureau of Labor Statistics, the job outlook for the human resources industry is exceptionally strong. From 2014 to 2024, the industry is expected to grow by 9%, which is more than double the growth rate of other related fields. As new businesses form and established companies begin to expand their operations, human resource managers will be needed to implement and oversee to oversee this development and ensure that these businesses adhere to complex and ever-evolving state and federal employment laws. Most positions are expected to see strong competition. The BLS also reported that, of May 2016, the average annual salary for a human resources manager in the United States was $104,440.00. Actual salaries will vary widely based upon one’s specialization within their chosen field, years of experience, location, and a number of other factors. According to the BLS, technical and scientific consulting firms tend to offer the highest salaries for HR directors. Similarly, HR Magazine reports that the highest paying career specialties include organizational development and labor relations. The training and background required for a human resources management position will vary according to the specific business one works for, its size, and the duties the job entails. Within the HR industry, almost all management positions require industry experience as one of the basic qualifications. Most employers strongly prefer that an applicant has a Bachelor’s degree in human resources management or a closely related field. Internships and industry experience are strongly favored. For upper management positions in HR, a graduate degree may be required, but this is not always the case. Industry tenure and industry experience can occasionally be substituted for a lack of higher education. What Qualifications Should an Aspiring HR Director Have? Because of the diverse range of job functions that an HR manager has, they must possess a wide range of abilities, skills, and qualifications. Managers in human resources interact with every level of an organization, from executive managers to mailroom clerks. Subsequently, their qualifications must be encompassing and broad. Education – At a minimum, an HR director must have a two-year degree in human resources. Bachelors’ degrees are strongly preferred, and almost all senior level HR management must have a graduate degree. Certification – There is a growing demand for HR directors to have professional certifications from the Human Resources Certification Institute of North America. In 2010, the HRCI conducted a survey of more than 1,500 HR professionals that determined more than half of employers in the U.S. and three-quarters of those abroad expect an HR manager to have higher level, professional certifications. Experience – For HR managers, experience is often the greatest teacher; therefore, most organizations looking to hire an HR manager are going to favor a candidate who already has industry experience – whether it be hands on or through an internship. Core Competencies – Core competencies are what drive effective performance. For example, good communication skills are required because HR directors are heavily involved in implementation and strategy development. Additional competencies that are highly prized include critical and analytical thinking skills, the ability to manage change, and the ability to positively influence others. 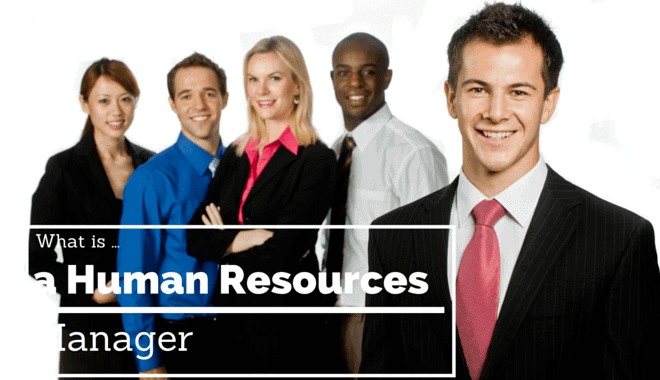 How Can I Become a Human Resources Manager? The first step to becoming a human resources manager is to obtain your degree in human resources or a closely related field. Most accredited programs in the United States offer internships and other interactive, educational components to assist their students in gaining hands-on experience. These programs can be found at a diverse range of universities across the country.